When financial crisis has led you to consider filing for bankruptcy, you may be wondering whether this is the best debt relief solution for you or whether you should possibly pursue alternatives to bankruptcy. While the best choice for resolving your financial issues will depend on a number of factors, here are some questions you can ask yourself to start assessing whether bankruptcy may be the best option for you. When considering filing for bankruptcy, here are some important questions to ask to figure out if this may be your best debt relief option. 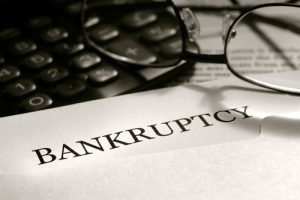 If you need further assistance in evaluating your debt relief choices or are ready to get your bankruptcy case started, Denver Bankruptcy Lawyer Arthur Lindquist-Kleissler is here for you. He has the experience you can trust with your sensitive legal and financial matters. Question 1: Is there any way for me to pay down my current debt? When you are facing overwhelming debt, one of the first things you should do is take a critical look your income versus your expenses. While your income calculation should include all sources of income you may have (like, for example, your wages, any interest payments, benefits payments, etc. ), your list of expenses should include details of everything you spend money on in a given month. To ensure that you capture all of your monthly expenses, consider referring to bank and credit card statements from previous months. As you detail your expenses, consider whether there is anything you can cut back on in order to free up more money to put towards paying down your debt. If this is not possible (i.e., you are only spending money on essential living costs and are still barely able to cover your debt obligations), then filing for bankruptcy to get some of this debt discharged may be a good move for you. Question 2: What is the nature of my debt? The specific type of debt that you have is also important to consider if you are thinking about filing for bankruptcy. This is because some types of debt will be discharged by bankruptcy while other types of debt will remain. In other words, for certain types of debt, filing for bankruptcy will not be an effective way of getting rid of the debt obligation, as people will still be required to repay these debts. The type of debt that is not dischargeable through bankruptcy includes (but is not necessarily limited to) student loan debt, debt related to child or spousal support payments and certain types of tax-related debt. In contract, however, credit card debt, mortgage and car loan debt, and medical bill-related debts are dischargeable through bankruptcy. Therefore, if a substantial portion of your outstanding debt obligations is related to dischargeable debts, then filing for bankruptcy can help significant reduce your financial burdens, which can, in turn, free up additional funds to help you repay the non-dischargeable debts you may still have. Stay posted for the second and third parts of this blog to come!